Get a 5 year UNLIMITED mileage warranty on nearly every car on the lot at no cost. This 2019 Chevrolet Cruze is located at Cable Dahmer Chevrolet of Independence. 16' Aluminum Wheels, Cruise Control, LS Convenience Package, Power Electric Rack-Mounted Steering, Preferred Equipment Group 1SB, Remote Vehicle Starter System, Steering Wheel Controls. Contact us online or give us a call at (866) 918-1427 to have your questions answered, obtain a price quote for this vehicle, or schedule your test drive today. Cable Dahmer Chevrolet is happy to serve all Independence, Lees Summit, Blue Springs and the Kansas City Metro area residents from our new and used car Chevrolet dealership. Get a 5 year UNLIMITED mileage warranty on nearly every car on the lot at no cost. This 2019 Chevrolet Trax is located at Cable Dahmer Chevrolet of Independence. Preferred Equipment Group 1LS. Contact us online or give us a call at (866) 918-1427 to have your questions answered, obtain a price quote for this vehicle, or schedule your test drive today. Cable Dahmer Chevrolet is happy to serve all Independence, Lees Summit, Blue Springs and the Kansas City Metro area residents from our new and used car Chevrolet dealership. Red Metallic 2019 Buick Encore Preferred FWD 6-Speed Automatic ECOTEC 1.4L I4 SMPI DOHC Turbocharged VVT 6-Speaker Audio System, ABS brakes, All-Weather Floor Mats, Black Carbon Metallic Lower Exterior Accent Color, Emergency communication system: OnStar and Buick connected services capable, Exterior Parking Camera Rear, Occupant sensing airbag, Outside temperature display, Preferred Equipment Group 1SB, Radio: Buick Infotainment System AM/FM Stereo, Remote keyless entry, SiriusXM Radio, Wheels: 18' Machined-Face Alloy. 25/30 City/Highway MPG Come in today and experience the Cable Dahmer difference! Where else can you get a five year UNLIMITED mileage warranty on nearly every car on the lot?? We offer a two week exchange policy on nearly all vehicles, free loaners while you wait, free Missouri state inspections, and much more! Cable Dahmer Buick GMC Cadillac is located at 3107 S Noland Rd, Independence MO 64055. Call, chat or come by today! Sale prices do not include dealer added accessories, administrative fees, or any state or local taxes. Ebony Twilight Metallic 2019 Buick Encore Preferred FWD 6-Speed Automatic ECOTEC 1.4L I4 SMPI DOHC Turbocharged VVT Cable Dahmer Buick GMC Noland Road Independence, CALL US AT 816-252-9800, ** AND MANY MORE FEATURES **, Preferred Equipment Group 1SB. 25/30 City/Highway MPG Contact us online or give us a call at (866) 629-2574 to have your questions answered, obtain a price quote for this vehicle, or schedule your test drive today. Quicksilver Metallic 2019 Buick Encore Preferred FWD 6-Speed Automatic ECOTEC 1.4L I4 SMPI DOHC Turbocharged VVT 2-Way Manual Front Passenger Seat Adjuster, 6-Speaker Audio System, ABS brakes, All-Weather Floor Mats, Black Carbon Metallic Lower Exterior Accent Color, Cloth w/Leatherette Seat Trim, Emergency communication system: OnStar and Buick connected services capable, Exterior Parking Camera Rear, Preferred Equipment Group 1SB, Radio: Buick Infotainment System AM/FM Stereo, Remote keyless entry, SiriusXM Radio, Wheels: 18' Machined-Face Alloy. 25/30 City/Highway MPG Come in today and experience the Cable Dahmer difference! Where else can you get a five year UNLIMITED mileage warranty on nearly every car on the lot?? We offer a two week exchange policy on nearly all vehicles, free loaners while you wait, free Missouri state inspections, and much more! Cable Dahmer Buick GMC Cadillac is located at 3107 S Noland Rd, Independence MO 64055. Call, chat or come by today! Sale prices do not include dealer added accessories, administrative fees, or any state or local taxes. Ebony Twilight Metallic 2019 Buick Encore Preferred FWD 6-Speed Automatic ECOTEC 1.4L I4 SMPI DOHC Turbocharged VVT 6-Speaker Audio System, 6-Way Power Driver Seat Adjuster, ABS brakes, All-Weather Floor Mats, Black Carbon Metallic Lower Exterior Accent Color, Emergency communication system: OnStar and Buick connected services capable, Exterior Parking Camera Rear, Outside temperature display, Overhead airbag, Preferred Equipment Group 1SB, Radio: Buick Infotainment System AM/FM Stereo, Remote keyless entry, SiriusXM Radio, Tachometer. 25/30 City/Highway MPG Come in today and experience the Cable Dahmer difference! Where else can you get a five year UNLIMITED mileage warranty on nearly every car on the lot?? We offer a two week exchange policy on nearly all vehicles, free loaners while you wait, free Missouri state inspections, and much more! 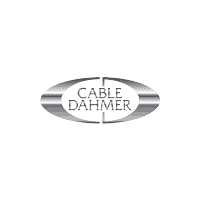 Cable Dahmer Buick GMC Cadillac is located at 3107 S Noland Rd, Independence MO 64055. Call, chat or come by today! Sale prices do not include dealer added accessories, administrative fees, or any state or local taxes. Quicksilver Metallic 2019 Buick Encore Preferred FWD 6-Speed Automatic ECOTEC 1.4L I4 SMPI DOHC Turbocharged VVT Cable Dahmer Buick GMC Noland Road Independence, CALL US AT 816-252-9800, ** AND MANY MORE FEATURES **, Preferred Equipment Group 1SB. 25/30 City/Highway MPG Contact us online or give us a call at (866) 629-2574 to have your questions answered, obtain a price quote for this vehicle, or schedule your test drive today. Get a 5 year UNLIMITED mileage warranty on nearly every car on the lot at no cost. This 2018 Chevrolet Malibu is located at Cable Dahmer Chevrolet of Independence. Jet Black Cloth, 120-Volt Power Outlet, 6-Speaker Audio System Feature, Convenience & Technology Package, Driver Information System w/Color Display, Dual USB Charging-Only Ports, Inside Rear-View Auto-Dimming Mirror, Leather-Wrapped Shift Knob, Preferred Equipment Group 1LT, Radio: Chevrolet MyLink AM/FM Stereo w/8' Screen, Remote Vehicle Starter System, SiriusXM Satellite Radio, Wireless Charging For Devices. Contact us online or give us a call at (866) 918-1427 to have your questions answered, obtain a price quote for this vehicle, or schedule your test drive today. Cable Dahmer Chevrolet is happy to serve all Independence, Lees Summit, Blue Springs and the Kansas City Metro area residents from our new and used car Chevrolet dealership. Get a 5 year UNLIMITED mileage warranty on nearly every car on the lot at no cost. This 2018 Chevrolet Malibu is located at Cable Dahmer Chevrolet of Independence. Jet Black Cloth, 120-Volt Power Outlet, 6-Speaker Audio System Feature, 6-Way Manual Front Passenger Seat Adjuster, ABS brakes, Convenience & Technology Package, Delay-off headlights, Driver Information System w/Color Display, Dual USB Charging-Only Ports, Emergency communication system: OnStar and Chevrolet connected services capable, Exterior Parking Camera Rear, Inside Rear-View Auto-Dimming Mirror, Leather-Wrapped Shift Knob, Overhead airbag, Preferred Equipment Group 1LT, Radio: Chevrolet MyLink AM/FM Stereo w/8' Screen, Remote Vehicle Starter System, SiriusXM Satellite Radio, Wireless Charging For Devices. Contact us online or give us a call at (866) 918-1427 to have your questions answered, obtain a price quote for this vehicle, or schedule your test drive today. Cable Dahmer Chevrolet is happy to serve all Independence, Lees Summit, Blue Springs and the Kansas City Metro area residents from our new and used car Chevrolet dealership.